When I heard about the “Focus on the positive” initiative it didn’t take me long to realise what an exciting opportunity it was. Not only would it allow me to engage the public in my research, something I consider of the utmost importance, but it would also give me the chance to win a prize to develop a project. My research focuses on studying the genetic diversity and ancestry of different Ethiopian groups. In general, there is a regrettable lack of written history about the origins of Ethiopian peoples, and most of their beliefs are often based on oral traditions passed along generations. Using genetic data we have investigated the origins of these populations, migrations and admixture with other groups. 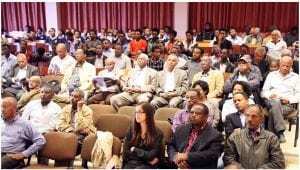 But in addition to publish these results in a scientific journal, we also wanted to provide the Ethiopian people with detailed insights about their origins and inter-relatedness, supplementing existing historical accounts and providing them with a better understanding of their genetic identity. 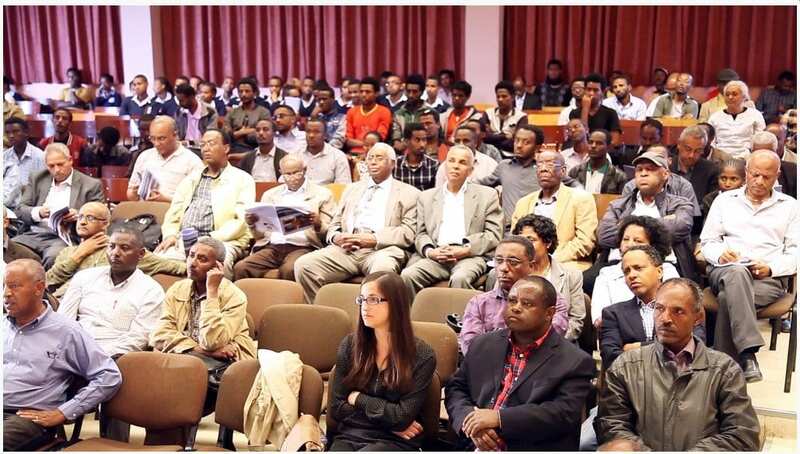 My postdoctoral supervisor, Dr. Garrett Hellenthal, and I had planned a trip to Ethiopia to disseminate the results of this project to both academics and non-academic people by giving talks at different universities across the country and other public venues. However, as language could be a barrier for these people, in particular among non-academics, we thought that bringing a printed booklet summarising the results of the project could be an effective solution to this issue. So I decided to take part into Focus on the positive, as the money received from this initiative could help with the printing expenses. The whole experience was great. 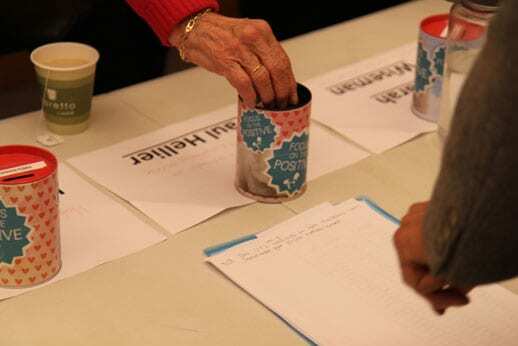 The event took part at the Trinity Community Centre, where we had to give a speech and answer the questions from a lay audience, who then voted for their favourite project. After a fun evening, I was delighted to learn that I had won a runner-prize of £1000. This money allowed us to print and bring 500 copies of the booklet in our trip to Ethiopia. These booklets were distributed among the people in all venues and universities that we visited, and we also left some copies in other locations like public libraries and some airports. 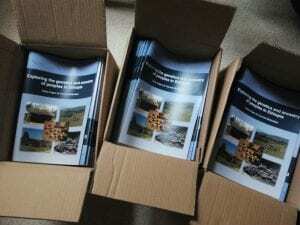 The booklets were a total success (the only negative point is that they were not enough to satisfy the high demand! 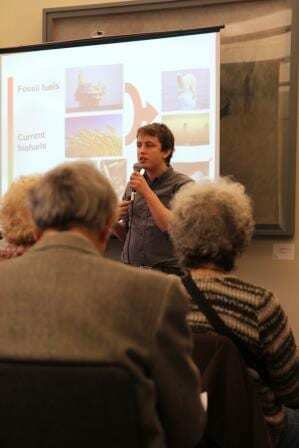 ), as they allowed people to follow and understand the main points of the talks. People were very grateful and we received excellent feedback about them. Everyone seemed keen to learn and hear our results. We, as scientists, have to make sure that our findings reach the public. In this particular case, we had studied the origins of Ethiopian peoples and we felt that it was essential to transmit the results to these people. 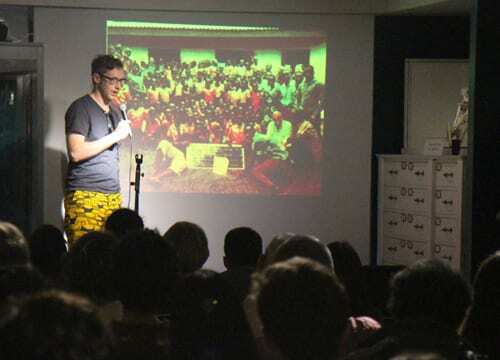 And in a country like Ethiopia, under development, with very limited access to scientific journals or databases, going there ourselves to give talks and distribute the booklets was possibly the best option to make sure that this happened. We are very grateful for the UCL Public Unit for this opportunity and for the audience for contributing to and supporting this project. Philippa Richardson is Festival Coordinator within UCL Culture, and has worked on Focus on the Positive for throughout our latest edition. In this blog she talks about our exciting next session, scheduled for 7th March 2017. Booking details to follow. 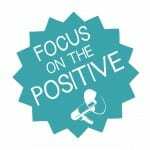 We are delighted to announce that Focus on The Positive will be back in 2017 as we continue to work with the School of Life and Medical Sciences. 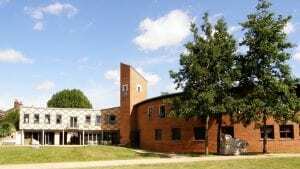 Having worked on the past four events starting in the scorcher of a month that was July 2016 I have seen the event travel to the heart of East London, with great relations formed with the Trinity Community Centre in East Ham. Centre Manager Paul Chelliah took on the role of host with great success, welcoming local residents and community partners as well as eloquently explaining the collaborative nature of the event. UCL Culture has collaboration and sparking conversations at the heart of its aims and this is especially important ahead of the UCL East Campus on the Queen Elizabeth Olympic Park. Trinity Centre Manager Paul Chelliah hosts the event and introduces researcher Naheem Bashir. With such aims in mind as we go forward into 2017, we see Focus on the Positive scheduled for Tuesday 7th March, 12pm at the Bromley-by-Bow Centre. We are very pleased to be working alongside DayOld who will be providing the refreshments on the day. DayOld is a surplus food social enterprise, tackling food waste and food poverty with London’s first surplus food box scheme. The Centre supported this social enterprise through its Beyond Business programme. We continue to enjoy building relations for mutual benefit in the East London community and the Bromley by Bow Centre have allowed us to see some of the great projects they run and continue to support. ‘Time Bank‘ is an excellent example of one of these projects, where members of the local community to help one another and share skills. Through a mutual exchange using time as currency, time credits. For every hour you spend helping someone, you will get an hour of somebody else’s help in return. It has also been inspiring to hear that researchers from Public Health England are currently based at the Centre on an evaluation and impact study. These are just some of the many great things happening at the Bromley By Bow Centre at the moment. We are excited to be supporting, training and funding researchers to engage with the Centre’s diverse audiences. Following the huge success of Focus on the Positive in helping researchers from the UCL Faculties of Built Environment, Engineering and Mathematical & Physical Sciences, the Public Engagement Unit is now focusing on offering opportunities to create real impact to our scientists within the UCL School of Life and Medical Sciences. 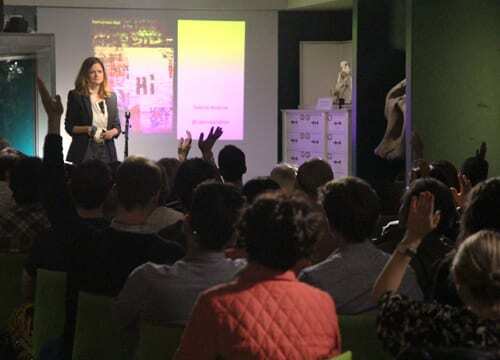 At UCL Culture, we are hoping to forge stronger connections to community groups and create opportunities for public voices to influence the teaching and research of UCL. We all have a stake in the future of medical and life science research and it is our responsibility within the university to make sure this is heard and valued. 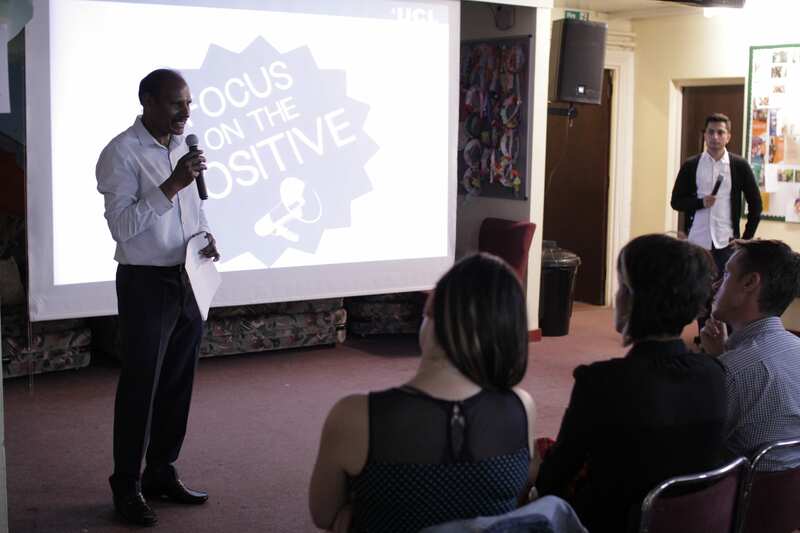 Our new run of Focus on the Positive events will be hosted in a variety of venues and with our community partners to ensure we get all sorts of voices contributing to the conversation: we’re committed to giving everyone a voice in the future of our work within the UCL School of Life and Medical Sciences. So far this year we have held events at the Grant Museum of Zoology, The Bloomsbury Studio and The Trinity Centre in East Ham. We have had 12 fantastic researchers pitching their projects, each one identifying unique approaches to creating a positive impact on society. Subjects discussed have included child and adolescent mental health data, cuts to disability services, a medical journal for kids and child facial surgery. We’ll have updates from the successful researchers in the next few months to talk about their experience and how their projects are coming along. There will be one more event in 2016 and we hope to run a further two in early 2017. 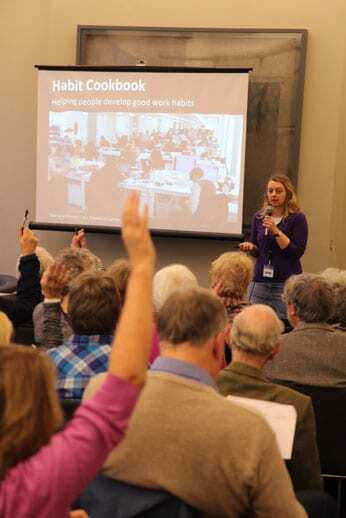 If you’re interested in coming along or if you’re a researcher with an idea you’d like to pitch, check out our Get Involved section. We look forward to welcoming everyone to our next event in The Trinity Centre on the 14th of November 2016 and to continuing our conversations on what UCL can do to improve all of our lives and make a positive contribution! Here, Clemence Cavoli updates us in her community transport mapping project in Maputo, Mozambique. The Focus on the Positive award allowed us to get the project off the ground as mentioned in some our previous blog. Furthermore, the Focus on the Positive Event allowed the team to meet the director of the Kestrelman Trust who was impressed by the project and wanted to invest in the future of it. Thanks to the Kestrelman’s support, Joaquin was able to spend another six months in the field in Maputo and the progress we made during those six months has been considerable. So the seed funding from the Focus on the Positive award has generated a much larger and more ambitious project. First, to include all modes of transport in the map, in addition to the Chapas. 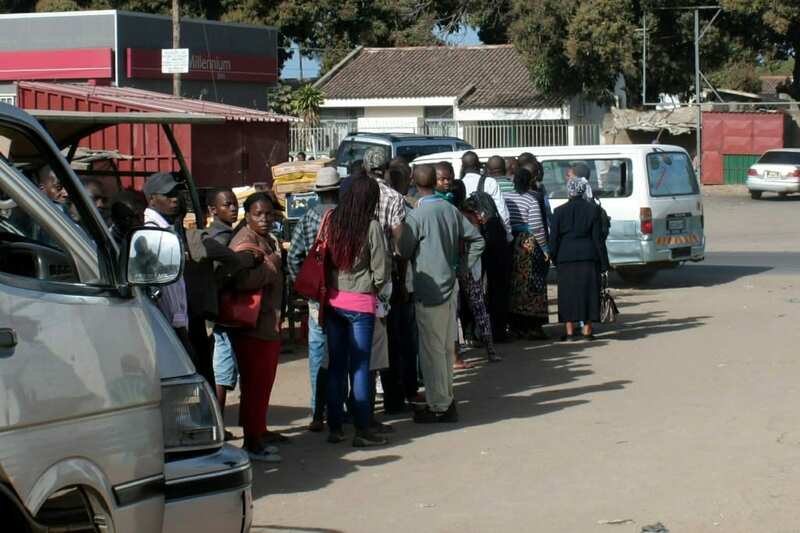 This would include the four lines of public buses and the one railway line in Maputo. The final result would be a comprehensive map of all modes of collective transport (formal and informal) in Maputo. Second, to increase the map so that it can cover the entire metropolitan area, Maputo and its nearest neighbourhood, Matola. Third, and very importantly, to convert the data in an open format so that it is easily accessible to the population. Second, we have established agreements with key stakeholders, including Ruth (the local association for sustainable transport in Maputo), Atromap (the Chapas association) and we are actively collaborating with a range of actors, including UN-Habitat and local universities. The aim is to establish solid relationships to maintain/sustain the project in the long-term. Third, with the collaboration of Ruth, our local partner, we have successfully secured additional funding for the project. The Department for International Development (DFID) agreed to fund part of the dissemination of the map in Maputo and we are currently negotiating with other funders, including the World Bank, to further support the project. Funders have shown substantial interest in the project which is very encouraging. Last but not least, the map has been a fantastic opportunity to raise the debate about sustainable mobility in a city that is suffering from a rapid increase in the use of private motorized vehicles. Our hope is to use the project as a platform to discuss a range of issues related to mobility, including walking and cycling (which are currently not being given priority), and public transport amongst others. To conclude, the concept and value of the Chapas project has been proved and much valuable work has been done. However it is exciting that the support we have received so far means that Joaquin will stay in Maputo and we will continue to work on this project. The potential that our audience saw in the idea is being realised and while we are still in the early stages of the ‘Map for Maputo’ we can now confidently say that the project has and is achieving substantial impact. Focus on the Positive has been a fantastic platform to get our project off the ground and to give it visibility and credibility. Clemence Cavoli is a Research Assistant in the Department of Civil, Environmental & Geomatic Engineering at UCL. This month, we find out what’s been going on with Roselle Thoreau‘s walking stick project. 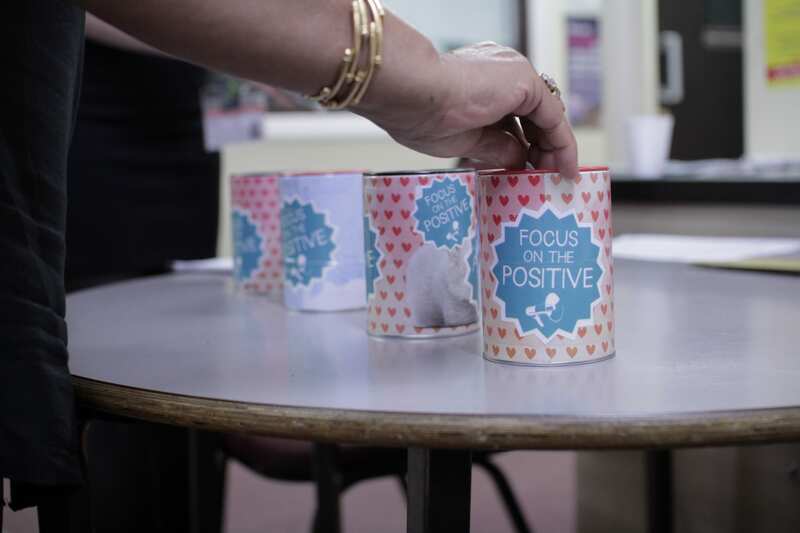 You can read about Roselle’s participation in Focus on the Positive last January in her previous blog post. As you can read in my previous post, I work with a lot of older people in my research. I had noticed that many of my participants had started to use walking sticks. When I asked them about their sticks I found that many people had either been given a stick by their children or bought a stick after a fall. None had received any advice on what type of stick they should have. 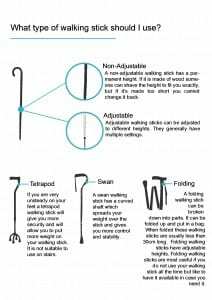 I did a little research and discovered that badly fitted walking sticks can give people injuries and make it more difficult to walk. People choose to use a walking stick to help them walk and in fact they end up walking less. 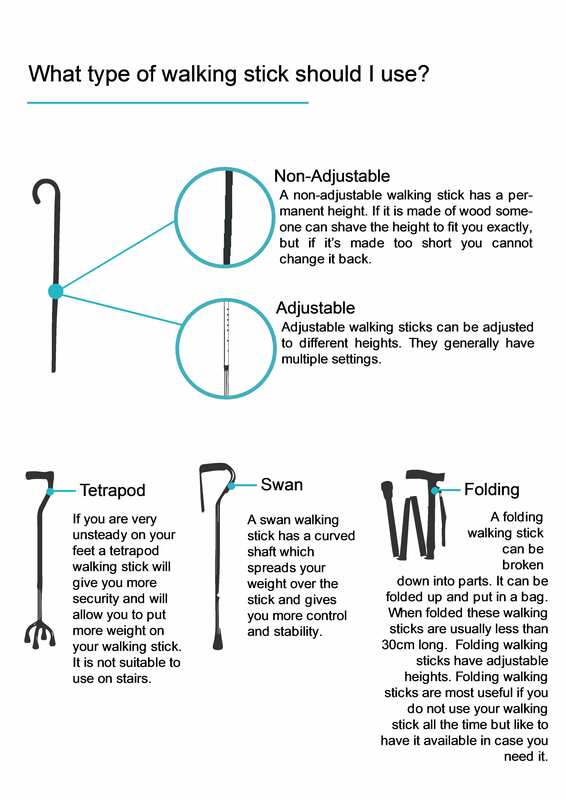 The problem is that there is very little information out there available to help people learn about stick height, handle and type and the get the right walking stick to meet their needs. I applied to participate in Focus on the Positive in January 2014 because I thought I could write a guide that would help get the information out to the people who needed it. My first step was to research what content needed to go into the guide. 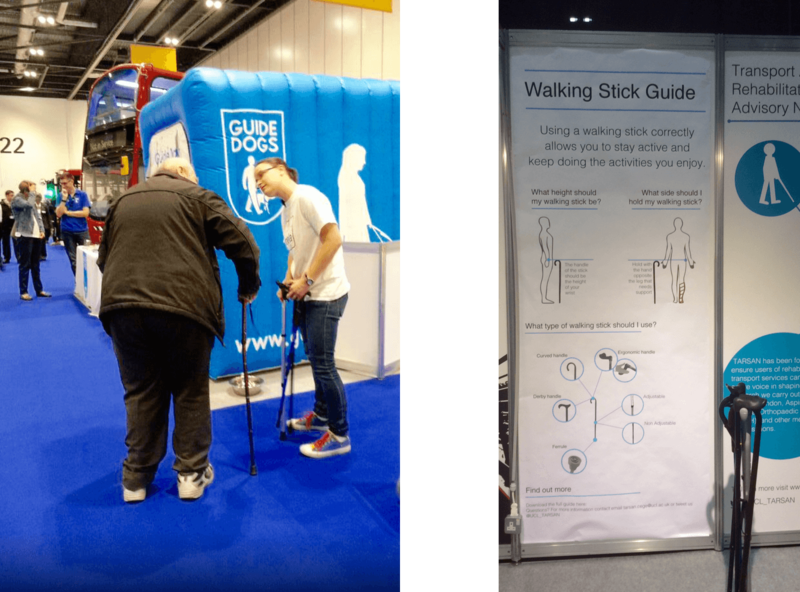 I searched the literature on walking sticks and spoke to a variety of stakeholders, physiotherapists, accessibility researchers, occupational therapists, as well as stakeholders in disabled and ageing charities. My second step was to talk to older people to find out what they knew, what they didn’t know and what they wanted to know about walking sticks. I had individual conversations with a dozen older people who used a walking stick and held a focus group with a group of older people who didn’t use walking sticks. The third step was to create the guide. The first two steps gave me enough information to write the guide. I then gave my content to a designer and together we structured it into an easy-to-read format. This was then shown to various stakeholders for feedback. A few amendments were made to achieve the final product. The fourth step is publication and advertisement which is ongoing. I approached Rica (formerly Ricability), a disabled and older peoples consumer product watchdog with an Information Standard. They have agreed to publish the guide so that it has an Information Standard logo on it. This means that the guide meets a trusted level of rigour. However, this step is taking some time and I am not sure when Rica will publish the guide. In the meantime the guide has been printed as it is. This version of the guide is available online, free to download, as well as in print form. In October 2014, my research team was invited to exhibit our research at Transport for Londons, Access All Areas event at the London Excel Centre. This was a one day event showcasing transport accessibility research and schemes and was attended by approximately 1500 people. As part of the stand we had, I showcased the guide with a panel display and the guides themselves. My team and I helped many people with their walking sticks that day. So popular was the guide that we had run out of print copies by lunchtime. I am continuing to give away copies of the guide and talk to people about their walking sticks. A little project can make a big difference. What struck me about doing this project is how many people lives I can directly impact. From the moment I started the project I have had people asking for advice. When I initially won Focus on the Positive in January 2014 I was asked by an audience member to give a talk to a local University of the Third Age (U3A) group. 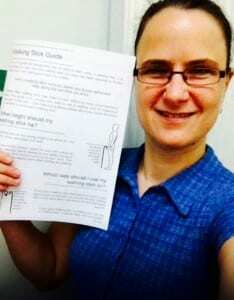 Whilst writing the guide I had a number of colleagues approach me for advice for their parents or grandparents. 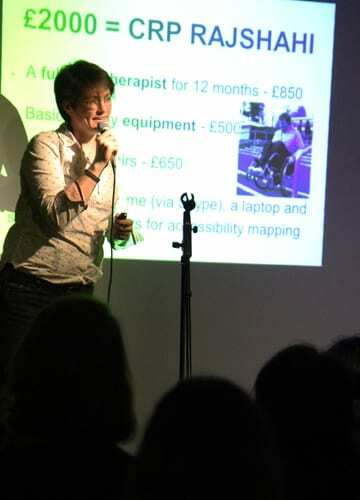 Upon completion of the guide the Access All Areas event gave me opportunity to disseminate the advice on a large scale. As a researcher you want your work to make a positive difference. And it does, but making that difference is a long term outcome. With this project I could make a difference almost immediately. And that was gratifying for me and, I hope, helpful for others. 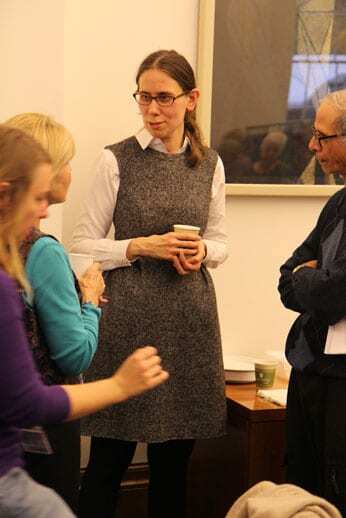 Roselle Thoreau completed her PhD at UCL this year, where she remains an Honorary Research Associate. She is now also a Visiting Researcher at Auckland Transport in New Zealand, where she know lives. Marina Chang was the runner up in Focus on the Positive last May. Here she shares her story of taking part. My PhD research explores the role of university-community engagement and co-operation in the development of sustainable food systems in London. During my PhD study, I visited and studied hundreds of community gardens across London. In most community gardens in London, growing food productively is rare. But the Calthorpe Project, both a community garden and community centre, is one the most productive food growing spaces in Central London. In fact, the Calthorpe has been a pioneer in growing food in the city since the 1980s. One of its visions is to create a localised food system. In this vision, local food production, distribution, consumption and waste can be closely connected to create synergies. Through this small scale model, huge impacts can be achieved as it can respond to global issues such as climate change, urban food security and food safety and many others. Earlier this year, the Calthorpe Project was fortunate in having a bio-digester installed on site. This bio-digester can transform biodegradable waste into clean fuel and liquid fertiliser. The clean fuel will generate heat and electricity which can be used for their poly tunnels in the winter. The liquid fertiliser can be used directly in their raised beds for food growing. However, in order to optimise the capacity of the bio-digester, it is important to increase their food growing spaces. 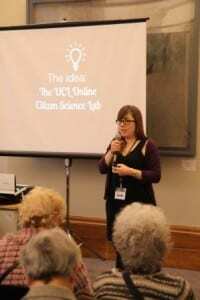 As a friend to UCL Public Engagement Unit, I had been aware of Focus on the Positive for a while but never thought of participating in it for a very simple reason that I have always had a fear of public speaking. 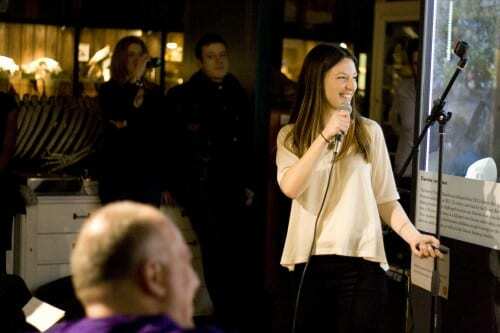 However, with the possibility of winning a £2000 cash prize, I decided to give myself a try – not only to help the Calthorpe Project but also to help myself overcome the fear of public speaking. I made my speech a personal story. Driven by a commitment that university is part of the community, I have been a volunteer and a friend at the Calthorpe Project ever since I first moved into the neighbourhood. I told the audience that this £2000 is pitched to the need for the Calthorpe to buy equipment and materials, both for extending their poly tunnels as well as creating new raised beds for growing food. And this money will also help them to train volunteers to go to the community to collect organic food waste from the households and restaurants to fill in the bio-digester. I passionately advocated this kind of localised food system as a true beauty of combining science with nature to help create a sustainable community in our own neighbourhood. I tried to convince the audience that their support will help to make a strong case that growing food in the city productively is not only very possible but can also transform people, place, community and the society. I shared my witness that over all these years, the Calthorpe Project has have been through a number of big threats and crises, including being closed down. 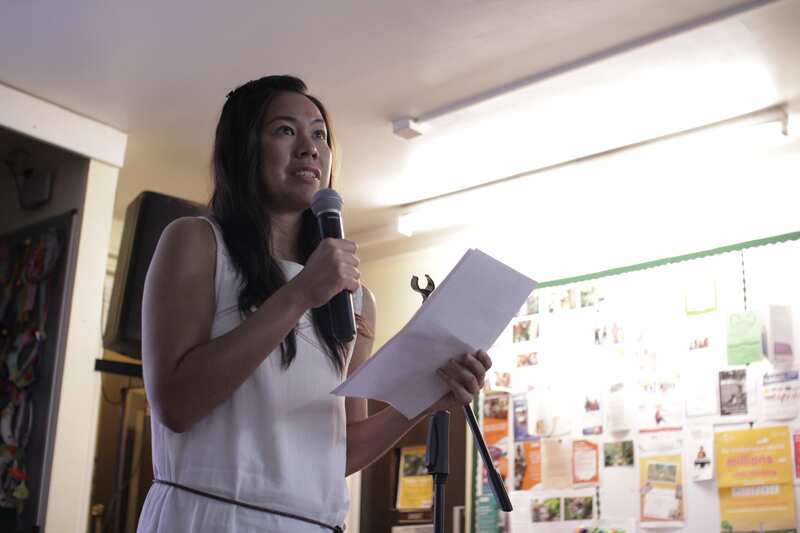 I’m very grateful to learn from the Calthorpe Project, tenaciously never giving up and focusing on the positive – developing a more sustainable food system in London through university-community engagement. I do believe university is part of the community. Together, we’ve become more resilient because we have received all kinds of support within the neighbourhood, but importantly, support from wider community, including each audience member sitting and listening to my story in the room that night. I was pleased to receive so many interesting queries, suggestions and encouragement from the audience during and after my speech. I was of course even more thrilled that I was voted the runner-up for the £1000 prize. I felt both proud and happy when I saw new raising beds put in place at the Calthorpe Project with the support of this £1000. We are sowing new seeds in soil as well as in our hearts. More importantly, my story has also seemed to inspire other colleagues at work and members of community to pursuit a genuine and meaningful co-operation between the university and the wider society for developing sustainable food systems in London. Marina Chang completed her PhD at UCL in 2012, and currently works as a researcher at both UCL and Coventry University. 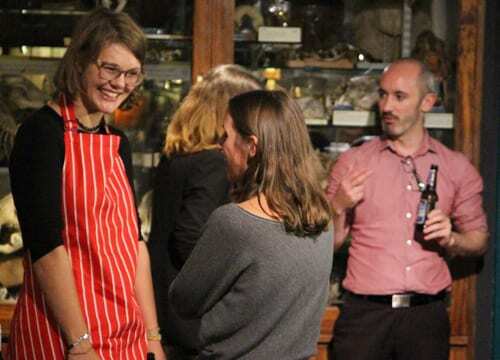 Runner up in February at our Grant Museum event, Alison Fairbrass updates us on her project. I was very nervous about entering the Focus on the Positive (FotP) competition. I had experience presenting at conferences, but thanks to my FoP training I learnt that pitching would be very different to presenting. I had to identify who my audience would be, and ‘sell’ the project to them for votes. I had to consider what would be of importance to my audience, and convince them that my project would be of benefit to them. 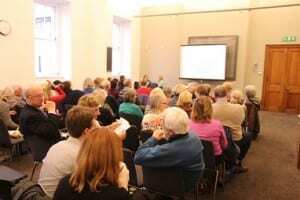 The audience would be from London so they were likely to be interested in the health of the city they live in. 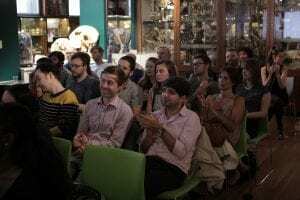 Due to the location of the competition in the Grant Museum of Zoology I suspected there would be a fair number of nature lovers in the audience. The FotP competition was a really fun event to be a part of, and the Grant Museum was a really excellent location. Four projects were given 5-minutes each to pitch for funding to support their project. 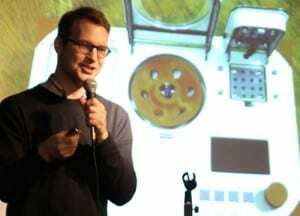 In my pitch I explained that the project was in its second year of monitoring London’s green spaces using acoustic detectors to record all the wildlife in the city that make sounds, including birds, bat and insects. I explained that the funding was required to conduct the acoustic surveys during the summer 2014 and that we planned to place detectors in green spaces across the entire city. I was delighted to win the runner-up prize of £1000 for the project. We began the acoustic biodiversity surveys in May and finished in September and surveyed 24 locations across the city. This included green roofs in London Bridge and Victoria to churchyards in Romford and Kew. At each location acoustic detectors were deployed for 7 days recording all the sounds emitted by wildlife during that time. Initially we planned to survey many different types of green space, but as we started planning our survey strategy we realised that was a bit overambitious. Instead we decided to narrow down our investigation to two very contrasting types of green space: churchyards and green roofs. We hoped this would give us a good picture of the wildlife inhabiting both old, well-established green space (churchyards) and newer, constructed green spaces (green roofs). Many people were involved in helping us gain access to green space sites in London where we could conduct our surveys. The Diocese of London and the various people who run the churches in London gave us access to their churchyards and kept many eyes on our equipment. The results of our surveys have complemented other ecological surveys done by the Diocese of London, by informing them on the bat and bird species that use the churchyards in London. The biodiversity we recorded on several of the churchyards was very high which illustrates the potential diversity that these green spaces can support. The Diocese of London are using these results to inform the way churchyards are managed in London to maximise the potential benefits that they can provide for London wildlife. 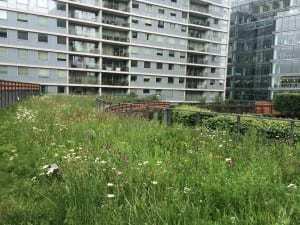 The green roof owners are incredibly interested in the biodiversity that is supported by their roofs, as all have made considerable time and financial investments in creating new wildlife habitat on their buildings. 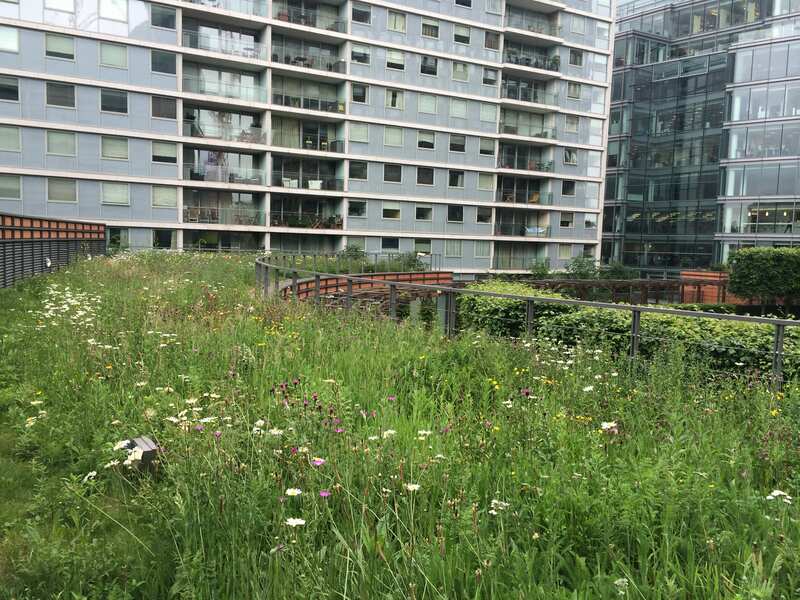 The results of our surveys have revealed to them the biodiversity that is supported by their green roofs. 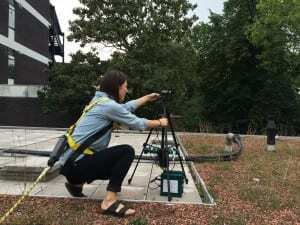 Many were pleasantly surprised by the amount of wildlife we recorded, I think several of them have been encouraged to add additional biodiversity-friendly features to their roofs because to the results of the surveys. The broader aim of the project was to get a picture of the health of London’s ecosystem. We still have a lot of work to do to process the data we collected through the project in order to answer our questions about the wildlife that we share the city with. But thanks to the funding we received from Focus on the Positive the data we collected should provide us with some very interesting and robust results. Alison is a PhD student in the UCL Centre in Urban Sustainability & Resilience and in collaboration with the Bat Conservation Trust. 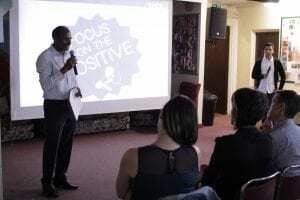 In this post event co-organiser Lizzy Baddeley shares her experience of hosting Focus on the Positive. Before I ran Focus on the Positive, and lots of other events for UCL, I used to be a tour guide. I would lead groups of school children on tours of the history of parliamentary democracy, wax lyrically to university students about the history of medicine, and even cause the odd fainting incident when sharing gruesome tales of body modification in eighteenth century China. But I left all that behind me when, as the co-organiser of Focus on the Positive, I started getting someone else in to do the event hosting for me. Normally someone with actual experience and charm! 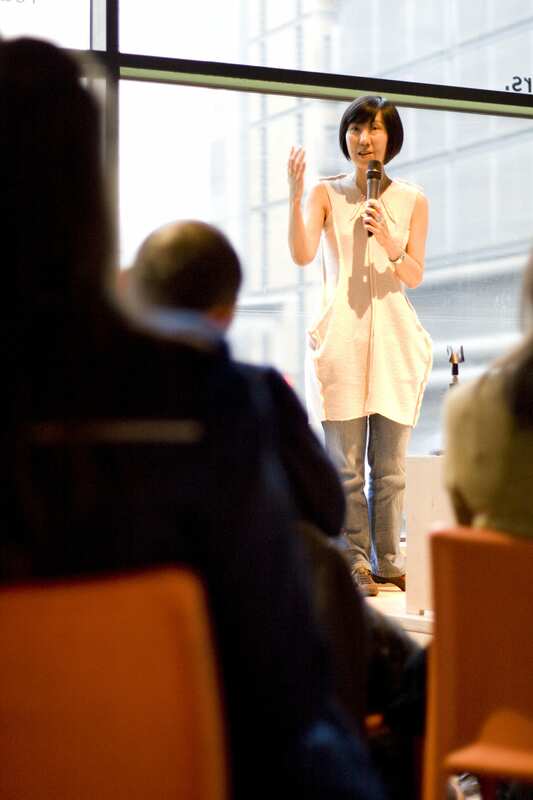 But at our last event, I decided to drag out the old ‘tour voice’ (louder, slower, and clearer – although oddly more accented – than normal) and refresh my public speaking skills for our second event with the University of the Third Age (U3A). Back in January, we ran a Focus on the Positive for the London Region of the U3A, a brilliant organisation where retired and semi-retired people revel in the joy of learning and discovery. We enjoyed hosting them, and they seemed to enjoy themselves, so we decided to get them back for another event on November 26th. 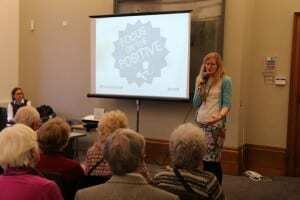 The U3A are the perfect audience for Focus on the Positive: their members are keen to listen and learn, but also interrogate and challenge, in order to make the best decision possible. As a result, they are great when it comes to picking a truly worthwhile project to fund for Focus on the Positive. As part of introducing the event, it was my job to advise the U3A audience on what to look out for in the pitches, and what kinds of questions they should be bearing in mind. This includes assessing the value for money of the activity; will it achieve its aims with the cash, and have they thought through the realistic costs of both money and other resources? Is it worthwhile? Do they, personally, believe in the cause and want it to happen? Are there other, better ways to achieve the desired aims? All these criteria are based on both how real grants are assessed, and the way that we want the audience to make their decision. We want Focus on the Positive to fund activities that the audience really believes can make a difference, and will be successful. At this event they really had some good activities to pick from. Firstly, there was Paul Hellier from Mechanical Engineering, hoping to get £2,000 to support his work with schools and the Museum of Water and Steam, where he is working to inspire students with cross-disciplinary science. Kathy Stawarz was hoping to adapt her research into using smartphone applications to create habits around taking medication, to help people who were stressed at work create habits to make their lives easier. Hoping to inspire female maths students to continue with their studies and address huge gender disparity further up the academic ladder was Sofia Olhede. And finally, with a project set on creating an online space for citizen science at UCL, was Sarah Wiseman. All the pitches were great, and I was very honoured to introduce them all and chair the questions. The U3A really grilled our pitchers, bringing their own opinions and ideas into the mix. This carried on during the networking part, where each pitcher was involved in really in-depth conversations about their ideas while the audience decided who to vote for. 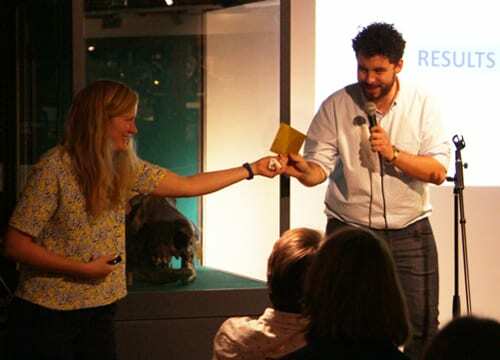 When I eventually pulled everyone back together to announce the winner and runner-up, I recovered some of the old tour guide flair and kept everyone hanging on (styling myself the Tess Daly of the FotP world). It was great fun, and although there could only be two winners, the audience seemed happy, and everyone was very gracious. It was great to get back in the presenting hot seat, although I did leave Hilary to manage all the other logistics on her own. Maybe I’ll present again in the future, but I think I’ll leave it to the brilliant Dean Veall for our next event at the Grant Museum in February. Oh, and the winners, as I have kept you hanging on, were Sarah Wiseman for the top prize of £2000, and Paul Hellier the runner-up winning £1000. More updates from them as they go along. Lizzy is the Events Coordinator for UCL Public and Culural Engagement. 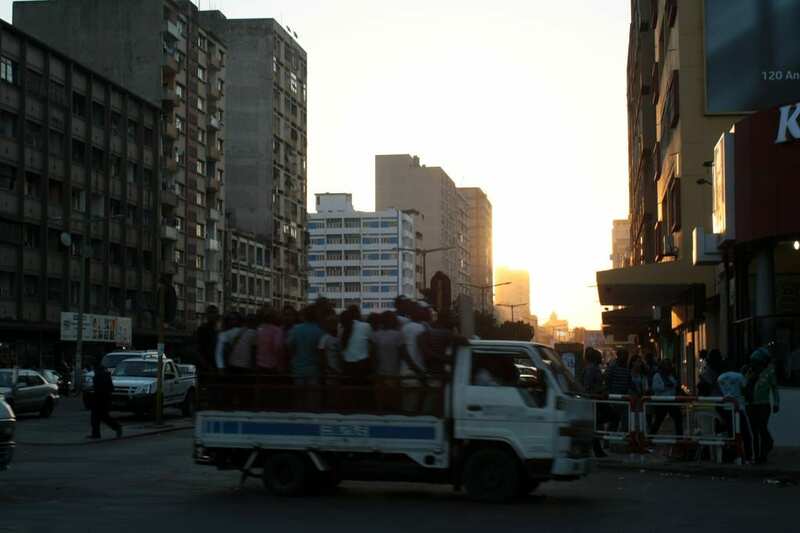 Clemence Cavoli won Focus on the Positive in May 2014 with a project aiming to help improve the public transport infrastructure in Maputo, Mozambique. She updates us here on how the team are getting on. Thanks to Focus on the Positive, Clemence Cavoli and her colleague Joaquin Romero have made great progress in developing their ‘Map for Maputo’ project in Mozambique. 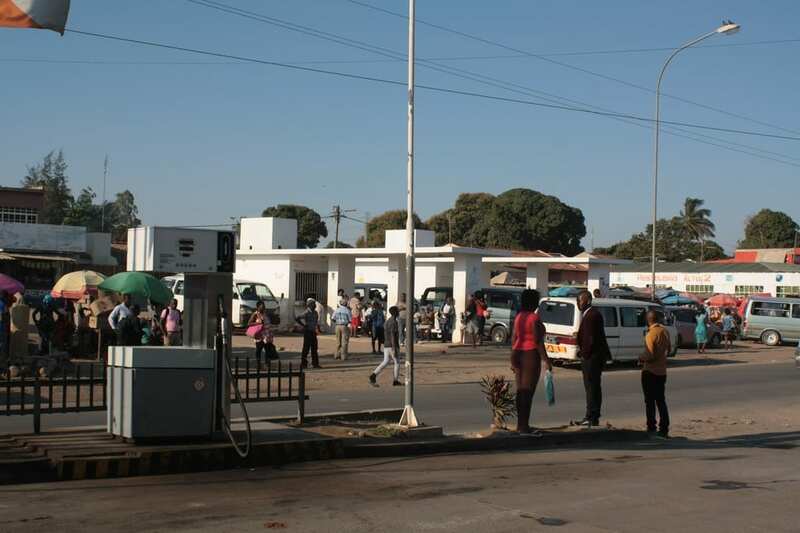 Clemence won £2000 for her project to create a map of the local transport networks in Maputo, the capital of Mozambique. Chapas, small minibuses, provide transport to thousands of people each day, but they’re privately run, hard to predict, and completely unmapped. 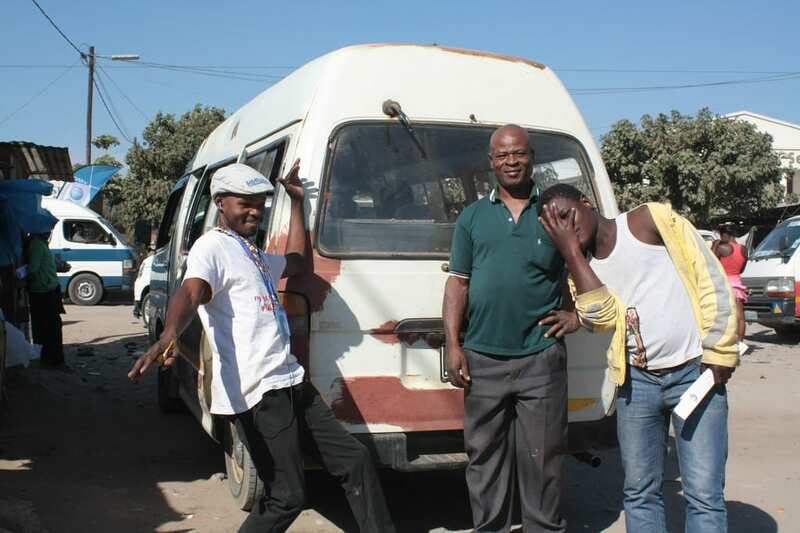 If mass use of private vehicles becomes popular, it will pose a major threat to sustainable development in Mozambique, so Clemence and Joaquin are working to counter this threat. Together, they are working with chapas drivers to chart their routes in the city, creating a local transport map that can be used by residents and visitors, hopefully encouraging the use of public transport over private vehicles. Joaquin flew to Mozambique in July and has been focusing on two key missions. Firstly, he’s been developing and strengthening relationships and establishing an on-going collaboration with the key local stakeholders, including the local transport association and the mini bus drivers and owners. Due to these connections, the team now has the support of a wide range of organisations to produce a map of minibus routes. 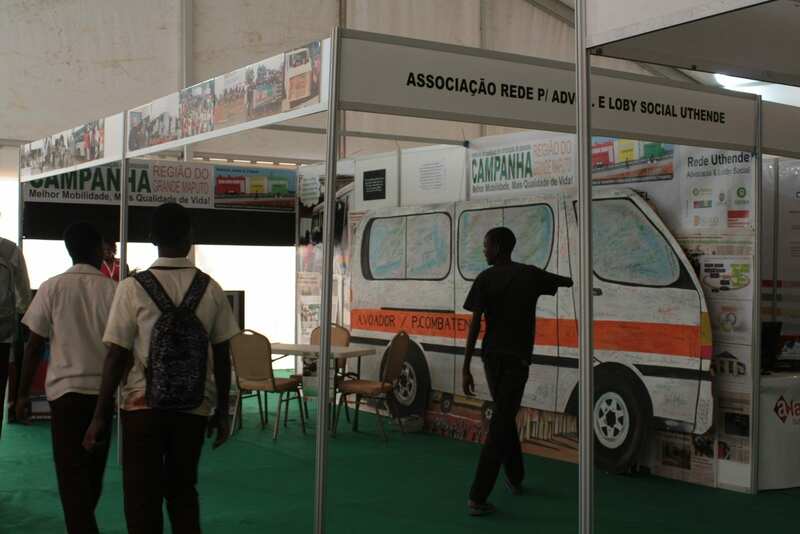 They have also been able to gain a comprehensive overview of local transport challenges, policies and opportunities in Maputo and in Mozambique more widely, and raise awareness among these key players to make sure the map is used and kept up-to-date in the long term. The second key mission has been to undertake extensive field work, finalising the GPS mapping of the minibuses routes. This will help the team to create a map of the minibuses routes. Thanks to Joaquin’s hard work, the GPS details of the ‘chapas’ routes for the map design are close to completion. The team still has a lot of work to do to finish the data collection, create the map and get it out and used by people in Maputo. The team want the local authorities to support chapas as a key part of their master plan for city transport, preventing an increase in the use of private vehicles. The next step is to get the local authorities on board and ensure the map is readable and useful for users who might not be familiar with the city or with chapas, and to improve the practicality and image of the minibuses.